Make a statement with Bombay Duck's stylish white alphabet hooks. 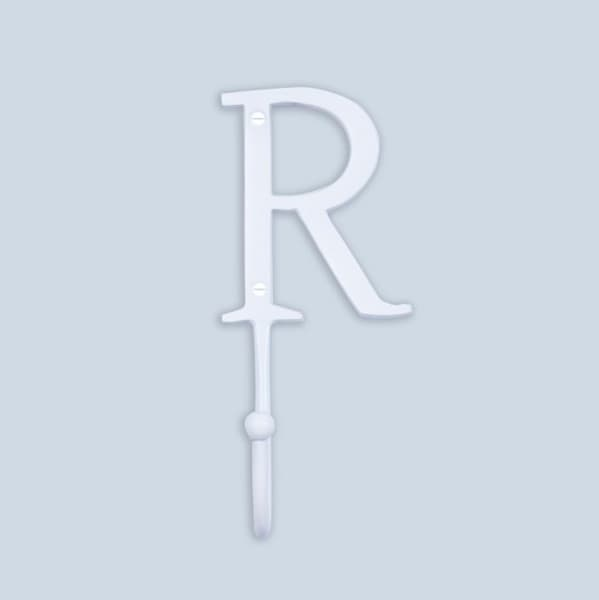 This 'R' letter hook is great for writing words or initials. A hook for the whole family. Hang in the hallway, bedroom, bathroom, kitchen. Ollie and Dollie in London, United Kingdom.